As part of my second year studying archaeology in Cardiff, I was required to write 5000 words on a topic of my choosing for a project called an Independent Study. Having only recently completed the first two models I ever made for a documentary on the medieval site of Cosmeston, South Wales, I decided it would be a great idea to further investigate this aspect of archaeology. I therefore decided to write about the use of new media in archaeology, and look into 3d modelling, photogrammetry and documentary making. As I wanted to try out these new programs as much as possible I decided to test myself with something large and complex, yet well-known enough to allow me access to a large database of plans, images and measurements. 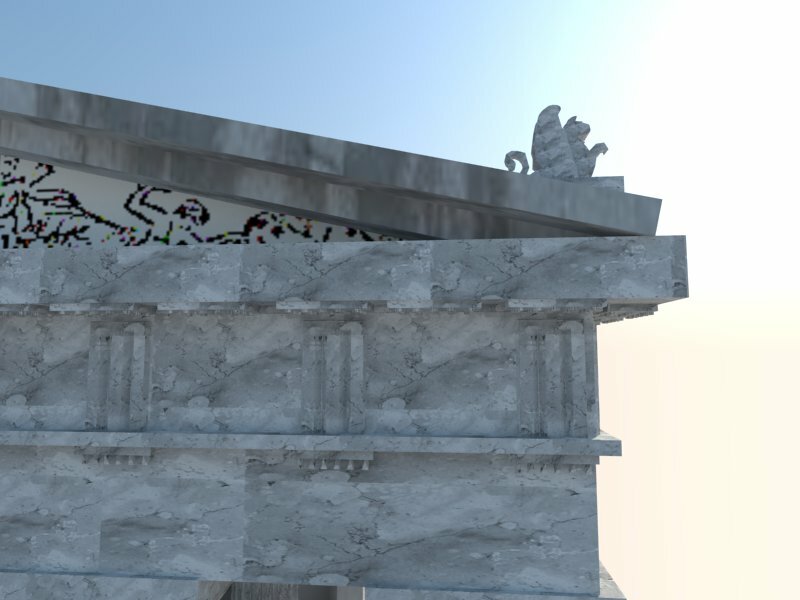 For this reason I chose to reconstruct the Parthenon, using a great program called Google Sketchup. Google Sketchup is still my number one choice when dealing with reconstruction from plans, due to simplicity of the program and the still great results that can achieved. For less experienced users the simple mechanism of pushing and pulling surfaces is ideal, and it’s easy to pick up how it all works thanks to the user-friendly interface. 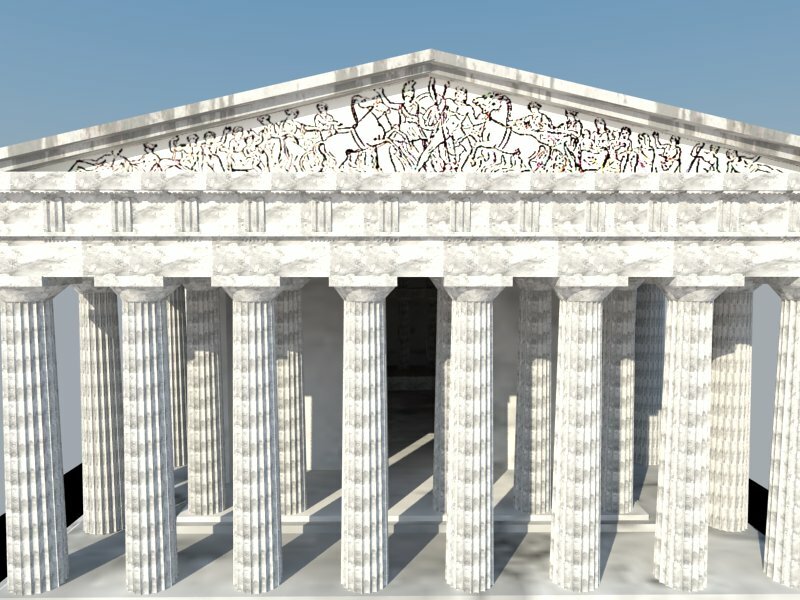 The great advantage of reconstructing the Parthenon was the fact that I could copy and paste most of the features, which meant I didn’t have to create every single column and brick. But it also meant that I had to quickly learn one of the key elements of sketchup, which is making components. By making components you don’t end up with thousands of lines, each a separate entity, but with a series of elements that work as a whole, meaning you can easily select them and copy/paste, move or rotate them. It also means they don’t pull everything they are connected to when you place them somewhere else. Hence I quickly learnt that having a series of lines to select and copy each time is much less efficient than having the same lines as a separate entity “roof_tile” which you can copy with two clicks. 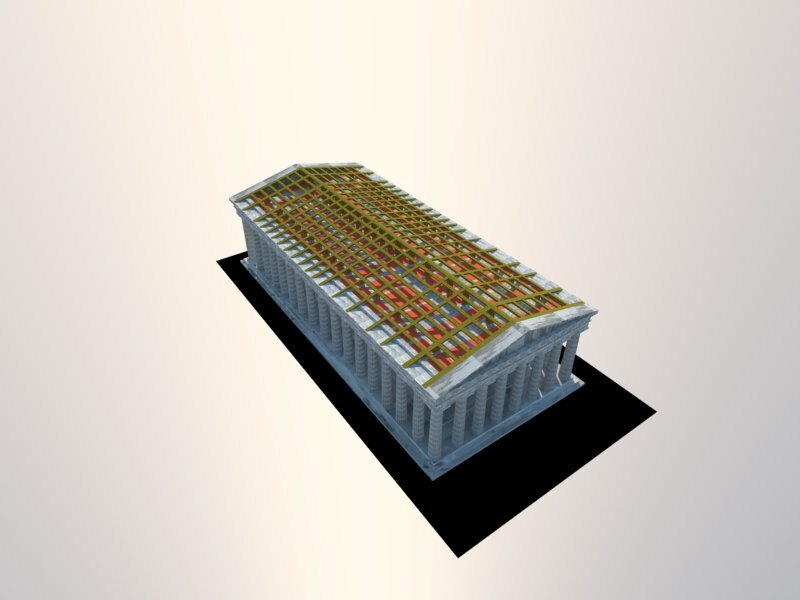 The great advantage of this I also learnt when making my second model, a Greek house, for which I decided to simply import the Parthenon roof component and edit it to make it smaller, rather than make the roof from scratch. The second thing I soon found out about the Parthenon is that it’s a large thing made of small things. For example, the ceiling wasn’t a big mass of stone, but more likely a decorated series of boxes and beams, which I couldn’t for the life of me create while I had the rest of the walls in place. 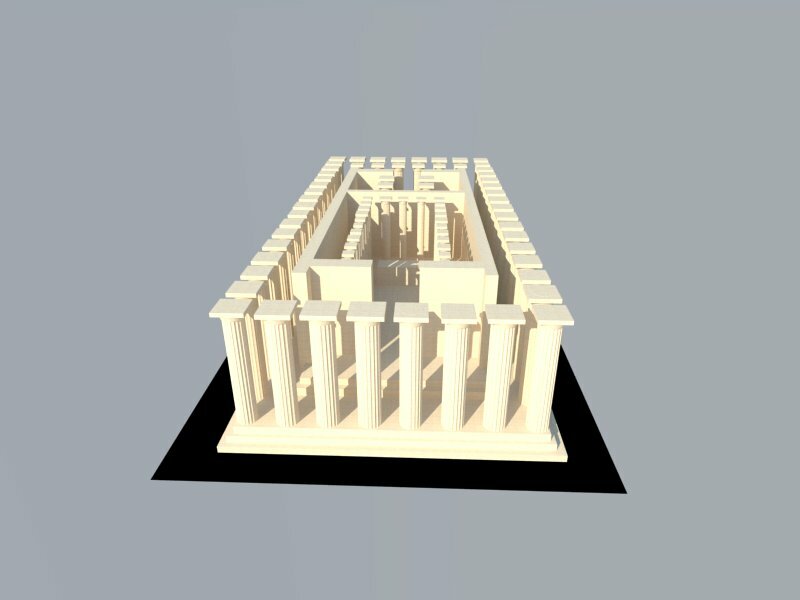 Hence I started doing the sneaky thing of editing parts of the Parthenon in a work area far away from the actual model, then make them into a component, move them into position and scale them to fit. The result was as good as if done in the right position, but with so many less issues. Thirdly, experimenting. This is what makes you a good 3d modeller, if it’s archaeological or not. It’s all good following a set of guidelines, but what happens when you rotate a corner, or draw a square on a brick and pull it out? 9 out of 10 times I tried something new I ruined the Parthenon, I then pressed ctrl+z or reopened the save file and then tried something new. 1 out of 10 times I discovered a new and amazing thing, which would save me hours of work or make the model better. The more curious you are with 3d modelling, the more you learn. Finally, reconstructing something the size of the Parthenon showed me that archaeology and 3d modelling really work hand in hand. 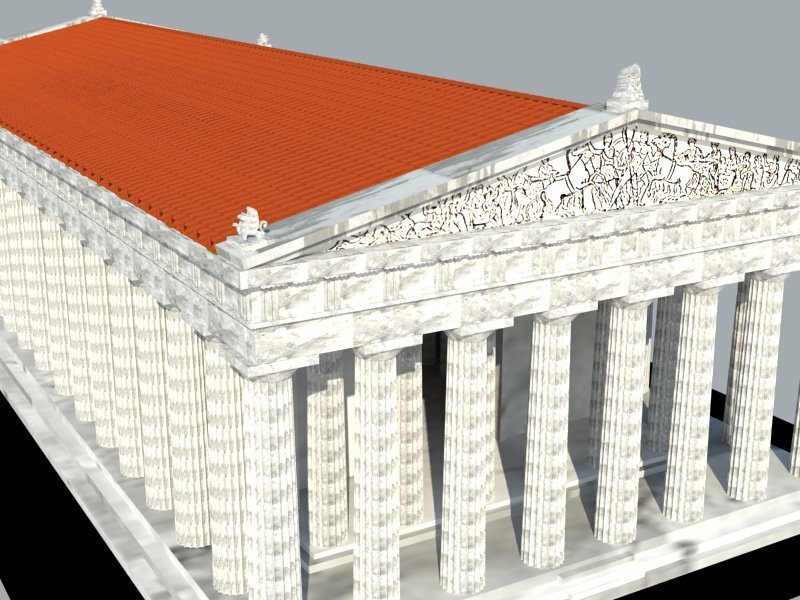 If a teacher is explaining to his class how the Parthenon looked like, why not show it in 3d? If we are debating about what it would look like when it was painted, using the paint tool in Sketchup instantly shows the results. If we are thinking of lighting/darkness levels within the inner chamber V-ray for Sketchup allows us to try it out any day of the year or time of the day. And if you are interested in starting modelling, but are not sure about it, download Sketchup and give it a go! I assure you it is easy and entertaining, and you’ll learn modelling in no time.